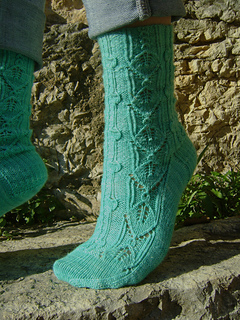 These cuff down socks were inspired by the structure and clean lines of leaves and buds in the spring, the left and right socks mirror each other, with and lace leaf motif running down one side of the leg and a pattern of buds running down the other. 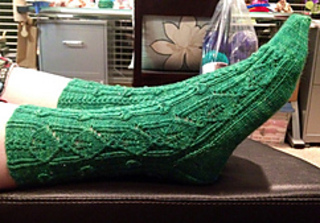 The gentle green color of the yarn is perfect for socks which take inspiration from the slow, soft unfurling of foliage. The name is pronounced “flow-em”. 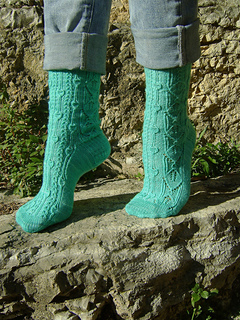 Join in the KAL for these socks here.